Alex Skolnick, the extraordinary thrash and jazz guitarist, was interviewed by Ray Suhy in our second installment of our Lessonface Presents series on November 1, 2018. You can watch the entire conversation by enrolling (for free) here. Skolnick delighted us by demonstrating some of his techniques on our trusty classroom guitar, sharing great anecdotes and insights, and even creating a lesson on the fly from the Whale of Fortune. 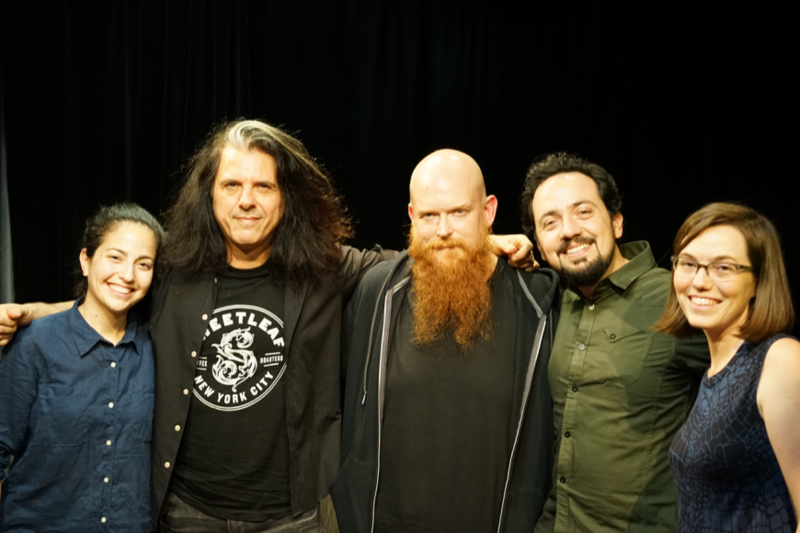 Thanks again to @alexskolnick for the fantastic insights into your influences and techniques, and to @raysuhy, excellent guitarist, educator, and interviewer! Hope y’all enjoy these clips. To watch the whole conversation, enroll for free at Lessonface. Link in bio. And check out our next interviews, two more this month! Violinist @mariogotoh this Thursday, Nov. 15, and Julie Landsman Nov. 29. Ray Suhy, excellent guitarist and guitar teacher, also showed his deft ability to interview. Thanks so much to Alex for joining us for the session and sharing his insights, to Ray for shaping the conversation, and to everyone who attended and made the session fun and lively. Special shout-out to great Lessonface teacher, Don Parkhurst, for planting the seed! Thanks again for everyone who has been taking part in this first run of Lessonface Presents! We have some great artists lined up for early 2019, stay tuned for more announcements!